What are the effects of urban green spaces on air pollution? Air pollution has a number of negative impacts on the environment, including damage to human health and natural ecosystems. The World Economic Forum has stated that air pollution is the ‘deadliest form of pollution’, while the World Health Organisation claims that in 2016 over 92% of the world’s population reside in places where air pollution exceeds health and safety limits. Despite these unbelievable facts, some countries - like the UK, US, Australia and New Zealand - are seeing a decrease in the amount of air pollution. Although urban green spaces are not solely responsible, it’s undeniable that these areas have contributed to the overall decline. In this article, we’re going to look at how urban green areas mitigate air pollution and improve the quality of air in built-up cities and towns. These gases are damaging to the environment, and particularly contribute to the overall effects of global warming. So how exactly do urban green areas help to reduce the damaging effects of air pollution? Urban green spaces relieve the effects of what is referred to as the ‘urban heat island’. The urban heat island effect appears in towns and cities that are highly populated. It refers to the heat that’s generated from houses, shops, industrial buildings, vehicles and people simply living their day-to-day lives in close proximity. Unfortunately, the buildings, pathways and roads prevent the heat from rising into the atmosphere. This means that the temperature increases within the city, sometimes by 1-3 degrees, in comparison to surrounding rural areas. The effects of an urban heat island can be extremely dangerous to the environment. The increase in temperature can cause a higher use of energy during the warmer months whereby residents are using central heating more than usual. As a result, this can increase air pollution and greenhouse gas emissions. 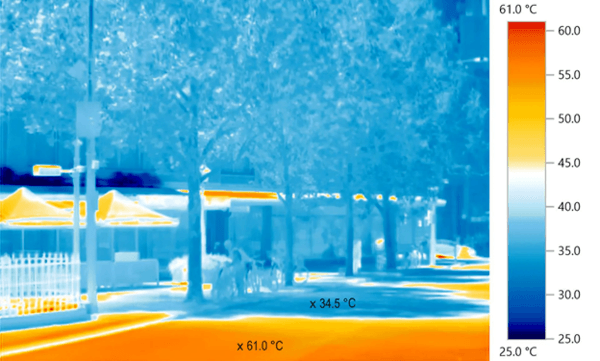 So how do urban green spaces mitigate the heat and reduce pollution? By increasing the amount of plants and trees within urban areas, the effects of heat are alleviated in two ways: shade and moisture. Urban green areas, particularly large trees and rooftop greenery, provide shade from the sunlight. This in turn helps to decrease overall temperatures within a city, which in part contributes to reducing the overall temperature of the planet. The Earth’s temperature has been a topic of concern in recent months, mostly because 18 of the 19 hottest years between 1951 and 2016 occurred after 2001 and there are no signs that the temperature is likely to drop anytime soon. Not only do plants provide shade in cities and town to reduce temperatures, but they also undergo a process called transpiration: this is where moisture is carried from the roots to the underside of leaves. From there, it is released into the atmosphere. The release of moisture into the air helps to reduce warm temperatures, preventing dry and humid air for those who live in urban areas. A survey conducted by Nature has determined that over three million people have died prematurely as a result of air pollution. This is due to the inhalation of irritant gases which can cause problems with airways, and worsen any pre-existing lung or heart conditions. So how do urban green areas improve our health? Plants absorb gaseous pollutants that are already in the air - most of which contribute to air pollution. By absorbing the harmful gases, plants are then able to release oxygen into the atmosphere. Producing oxygen helps to combat the harmful effects of air pollution. By having green spaces in urbanised areas, plants and greenery are providing us with higher-quality air. To prevent health problems such as eye damage and dehydration from overexposure to the sun, plants deflect radiation from the sun as part of photosynthesis. This means that sunlight is often reflected by leaves, thereby softening the rays and reducing the effects of UV exposure. Although some trees and plants produce pollen which can induce hay fever in some individuals, the overall benefits to air quality and human health are immensely positive. From July 2012 - June 2013, an experiment was conducted in the French city of Strasburg to improve air quality. The abstract shows that public trees reduced approximately 7% of PM10 in the city’s atmosphere, highlighting that urban green areas are beneficial in the reduction of air pollution. The report also states that nature should be used alongside other preventative measures such as conserving energy and using energy efficient power sources to have the biggest impact on creating a healthier environment. To ensure that urban green areas continue to improve the quality of air in cities and towns, it’s important that they’re looked after. Although original woodlands prevent higher levels of air pollution, urban areas still contribute to the combative action against air pollution. It’s vital that that we continue to maintain our inner-city green spaces to ensure that they continue improving the air that we breathe. Here at Weedingtech, we offer a safe and sustainable herbicide-free method of managing urban greenery - Foamstream. 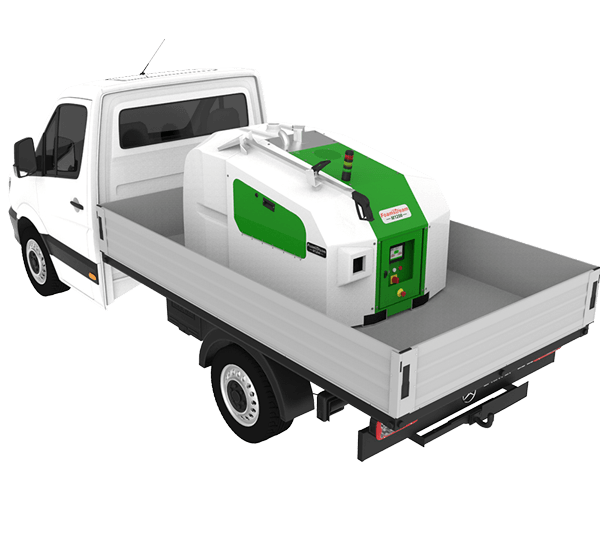 If you want more information about why Foamstream is the most eco-friendly method of weed control, please contact us. Like what you've read? Why not subscribe to receive our latest newsletter. 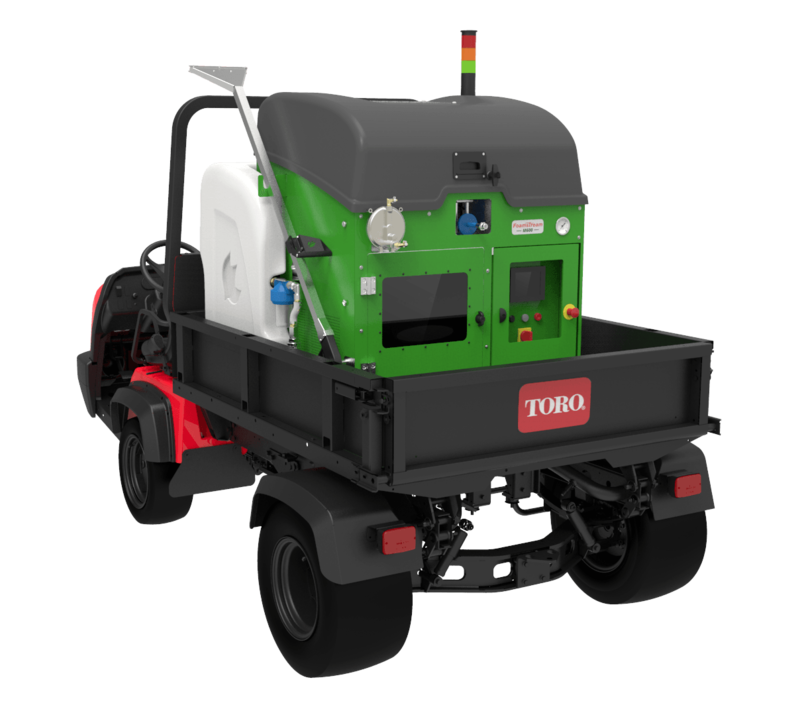 Interested in finding out more about safe and sustainable alternative methods of weed control? If you would like more information on herbicide-free solutions to share with your local municipality, get in touch today.